Almost 9,000 people (!) sent their support/objection for the new stadium and both groups ale almost even in numbers. Now all the letters need to be analysed. Created to face hot summers, cold winters and strong wind. And each of these is a challenge of sorts. 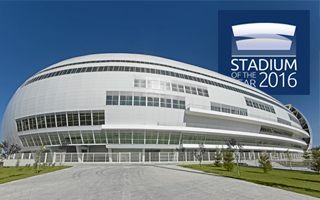 Please welcome Sivas Arena! At one point we were afraid it wouldn’t even get built at all. 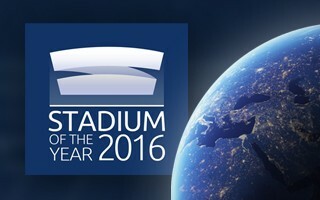 But in the end the new giant of Ligue 1 successfully hosted Euro 2016 and is now rightly nominated to become Stadium of the Year! 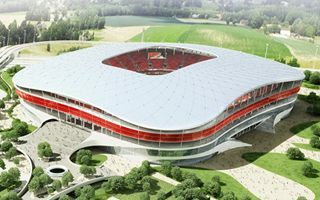 So finally, after almost 8 years the construction of Torfeld Süd stadium in Aarau is possibly just months away. 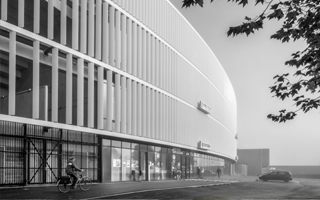 Canada hasn’t been particularly known for captivating sports architecture in recent years, but projects like this one can change this image. 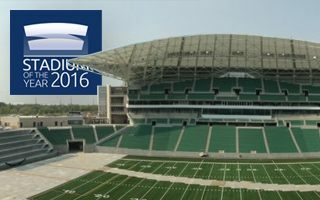 Regina’s Mosaic Stadium is the best new ground north of the US! 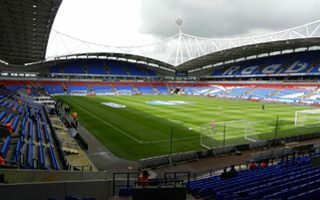 Macron Stadium has been granted special protection after Bolton Council approved it as an Asset of Community Value. Report by theBoltonNews.co.uk. 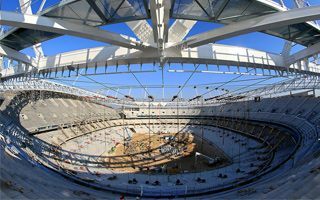 Is this the most impressive stadium in Turkey? Well, competition is growing almost on a monthly basis, but something tells us it will become a true landmark for Trabzon. Doesn’t sound too impressive? It’s a 4th league club that’s just getting back on its feet after having collapsed. And they’ve set high prices, too! 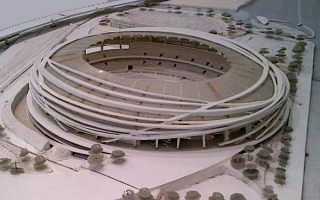 Once more the Cagliari city council gave their go-ahead to new stadium plan of Cagliari Calcio. If work begins soon, the building will be ready in 2019. 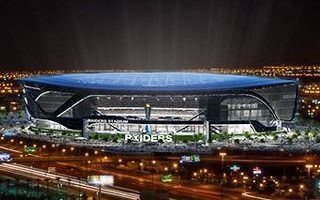 This stadium may be a reason to vote both for it and against it, that’s how high emotions it raised. 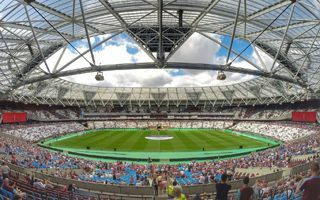 Still, in terms of engineering it’s a masterpiece, even if West Ham fans need time to accept it. 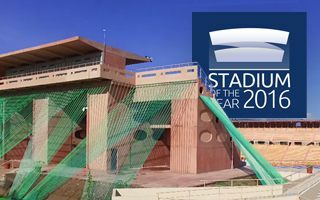 The year 2016 reminded the world all that Iraq isn’t only the troubled country between Euphrates and Tigris, it’s also a football-mad nation who are seeing a gradual revival of their infrastructure. First row less than 5 meters from the field, legal pyrotechnics and steep safe standing terrace for 3,800 people. In exactly one week this latest MLS stadium will come to life! 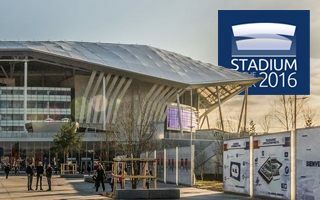 25.02.2017 Vienna: What’s next for Austria’s national stadium? 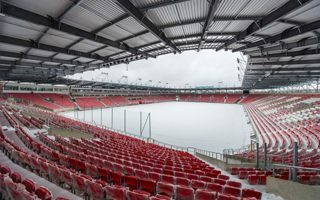 City councilor for sports and culture hints that the current Ernst-Happel-Stadion will either be upgraded or left intact. Meanwhile the football authorities hope for a brand new one. If any nominee in this year’s competition deserves credit for logistics, it’s this one. Delivering such an immense makeover in less than 1.5 year is a huge achievement. 25.02.2017 Rome: Hard to believe, agreement for Roma! “It’s a historic day”, say AS Roma and Rome mayor in unison. And agreeing on anything is not their thing. 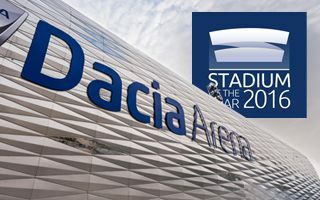 Now it seems Italy’s next best stadium will finally happen! You won’t find another stadium like this one. Not unless Casaflex manage to built more of them, following the enthusiasm generated by this one. 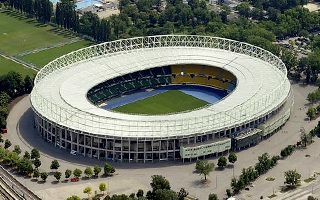 Cristiano Ronaldo was born just meters away from this stadium. Estádio do Maritimo is one more proof of how football-fascinated the island of Madeira is! 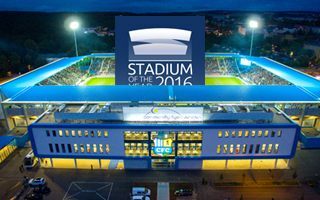 24.02.2017 Stadium of the Year 2016: Meet the Jury Vote finalists! It’s not the list we would have expected, but this makes it even more exciting. Here are the stadiums selected by our Jury for final evaluation! They were the underdog, but Budapest’s dream of the Olympics was cut short yesterday. The bid was withdrawn. Still, taxpayers have to foot immense bill for the national stadium. Peñarol is one of those clubs that give you shivers, that’s the kind of reputation they have across Latin America. 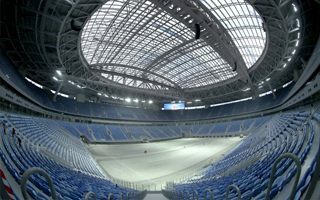 What they didn’t have is a modern stadium, which changed in 2016. 23.02.2017 Madrid: Atletico’s relocation delayed further? 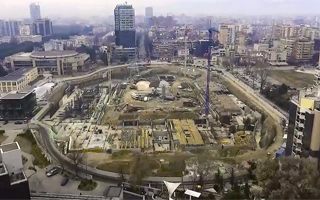 Atletico will not be able to move to their new stadium, the Estadio Wanda Metropolitano, if the first package of road infrastructure giving access to the ground is not done by September. 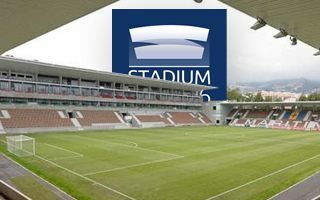 Just like in Udine, also here the stadium is more known for its traditional name than the newer commercial one. For fans of Viktorka it’s still Struncovy sady, even if the stadium has changed beyond recognition. Already now they’re Scotland’s most powerful football club. 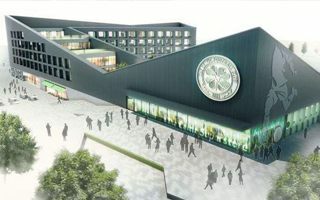 How are others supposed to compete, when Celtic can afford to build their own hotel? A valid question to ask! 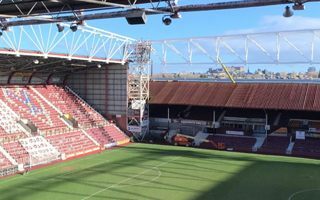 In a letter to supporters chairwoman Ann Budge announced further works on Tynecastle expansion. Piling and excavation is expected to begin next week. 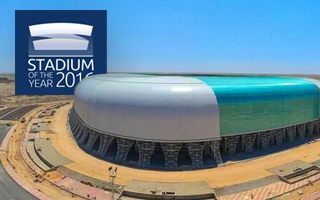 21.02.2017 England: New Grimsby stadium in a different location? 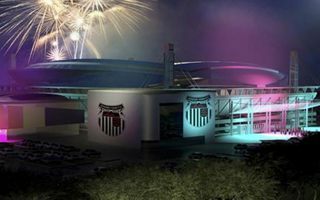 An opportunity opened for Grimsby Town as local theme park closed and is now up for redevelopment. Is Pleasure Island the place for new stadium? 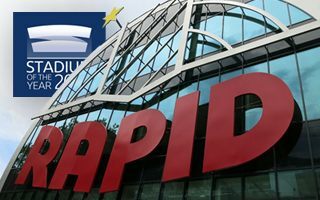 You may not recognize this stadium just by its commercial name, but if we say Stadio Friuli, surely the great legend of Italian football will ring a bell. Now it’s a brand new stadium! Its commercial name may be hard to spell, but the traditional one isn’t much easier if you’re not German. 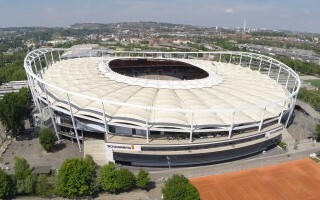 Still, The new stadium in Chemnitz seems to be a successful combination of old and new. New club museum, upgraded gold hospitality area and crowdfunding for impressive murals. 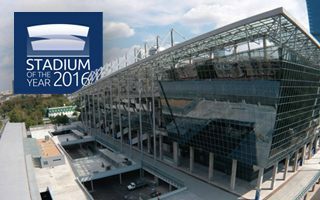 All this is planned in Poznan, where Lech is running major upgrades 5 years after Euro 2012. 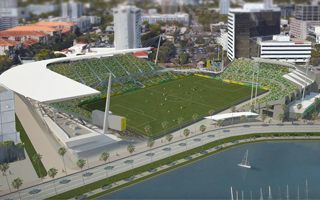 St. Petersburg City Council approved ordinance language for the proposed Al Lang Stadium expansion, project launched as part of Rowdies’ MLS expansion campaign. 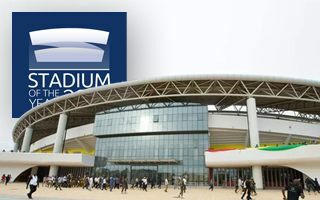 Another well-delivered example of China’s stadium diplomacy brings Ghana to the spotlight. 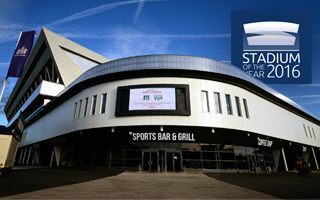 Let’s meet their latest stadium, one of our reasons to vote for Stadium of the Year. 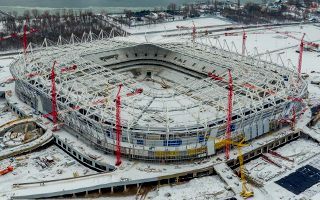 20.02.2017 Russia 2018: Rostov Arena to be done ahead of schedule? 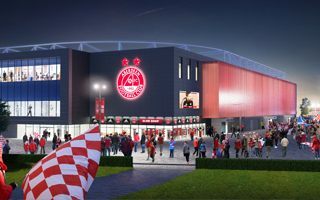 We’ve been impressed by this stadium’s pace for months, now it turns out delivery is planned even a month before the official handover day. 19.02.2017 Wales: Swansea City finally to take over at Liberty Stadium? New owners have the same plans as have been on the table for years. 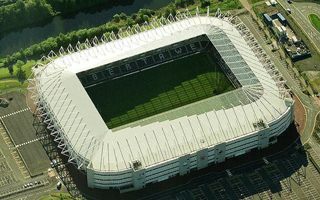 Taking control of Liberty Stadium, expanding it and possibly selling its name. A Wales Online report. 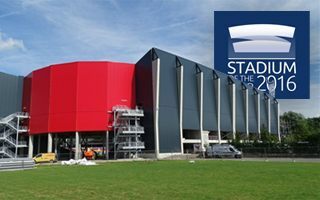 Quintessentially British, this robust makeover extended Bristol City stadium’s lifespan for decades and is well worth being on our list! We’ve searched a long time but only found one stadium taller than this one. With 142-meter skyscraper it’s one of a kind, truly! 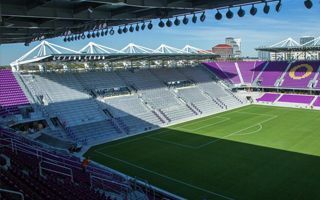 Once again RSC Anderlecht dropped a bombshell about new national stadium scheme. The club decided to withdraw from the project late yesterday. 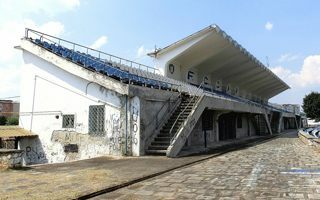 If you like traditional stadiums with terracing, this one is for you. Then again, it also satisfies corporate hospitality and family needs, as well as offering a kindergarten to the community! 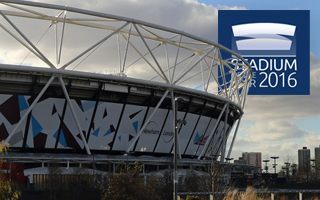 17.02.2017 London: London Stadium finally more like a home to West Ham? They had a rough start but are now getting more cosy at their new stadium. Is it home already? According to co-chairman David Gold it’s starting to feel that way. The city boasts about improving the stadium’s surroundings for Madrid citizens, conveniently avoiding what’s good about the plan for Real. Still, both sides might call this a win. 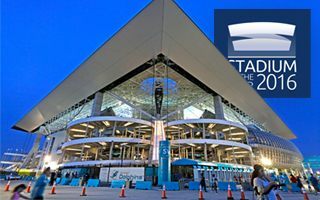 Right after the season’s last game renovation works will begin at Mercedes-Benz Arena’s roof. Already now preparations are ongoing to meet the August deadline. 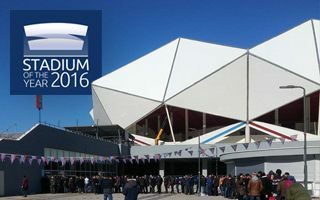 16.02.2017 Stadium of the Year 2016: Halfway there, what’s next? 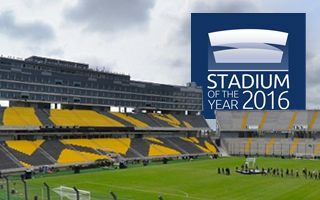 We’re exactly past the halfway point in the annual Stadium of the Year competition. With over 25,000 votes and counting, any stadium (literally!) can still win. What now? They only have time until September to make up their minds. 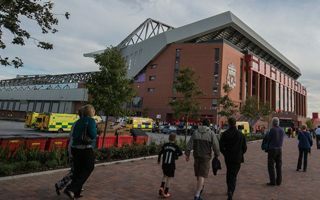 But Liverpool FC claim to still be assessing whether to proceed with Anfield’s further expansion, to nearly 59,000 seats. 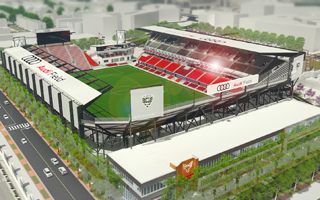 Audi Field – that’s the name DC United new stadium will have when it opens in 2018. But while sponsorship is secured, construction still can’t get off the ground. 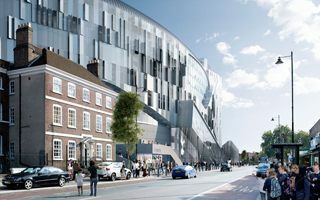 15.02.2017 London: No more White Hart Lane stadium? If you were hoping for Tottenham’s new stadium to still be called White Hart Lane, you may have mistaken. The historical name will most likely be dropped as demolition of the ground is getting closer. 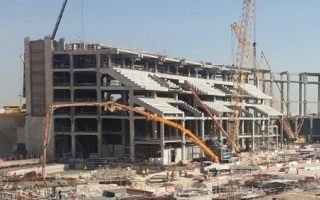 Nearly half of Al Bayt Stadium’s capacity will consist of temporary seating. Installation of the first portion has now begun. 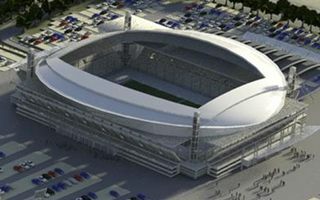 Following almost five years of issues, Jakarta’s largest new stadium is expected to go ahead in 2017, 2018 at the latest. 14.02.2017 Italy: What’s Bologna FC up to? 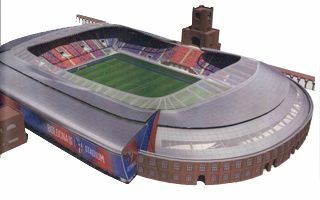 There have already been so many concepts of Stadio Renato dall’Ara’s reconstruction, it’s hard to keep track. Why should this be any different? Well, this time they’re going forward. 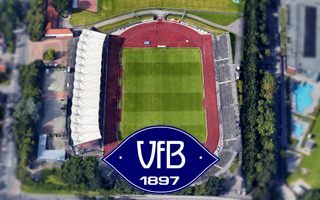 14.02.2017 Germany: New stadium for VfB Oldenburg? This 120-year-old club has one major dream in its jubilee year. 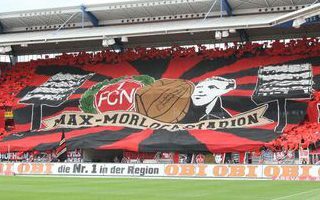 And that dream may be a step closer to fruition as municipality of Oldenburg has commissioned study into new stadium. 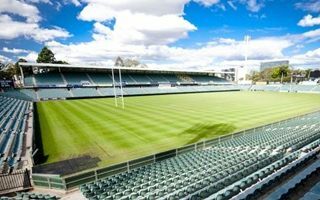 Demolition crews have begun the gradual process of tearing apart Pirtek Stadium in Parramatta to make way for a new venue. Skanska have won their highest ever contract in Finland. 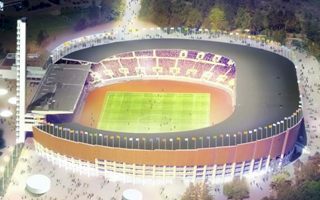 The company will renovate the Olympic Stadium in Helsinki and works are expected to begin shortly. 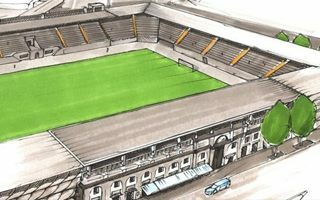 Developer behind the proposed Grimsby Town FC stadium is satisfied with early findings and will go ahead with planning application. 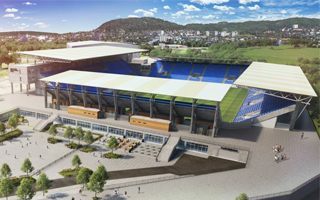 Oslo’s biggest club presented their latest news regarding new stadium in Valle Hovin. 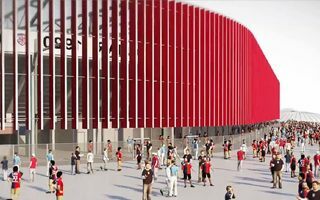 Supporters will have a friendly plaza to spend matchdays and… every day at. 11.02.2017 Lisbon: Sporting to rebrand their stadium after election? 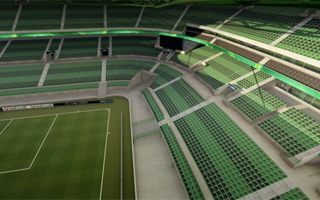 Complete replacement of all seats and capacity increase may soon be coming to Lisbon. That’s what one of Sporting’s presidential candidates offers to supporters. 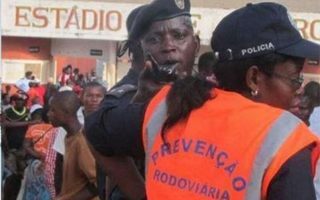 What happened outside the stadium in Angolan city of Uíge is one of the most tragic events in African football. And yet inside the game was played as if nothing happened. 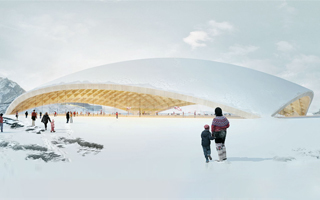 Greenland is pushing forward with new national stadium design. And it’s quite a stunning one, created by one of the world’s most renowned young architects. 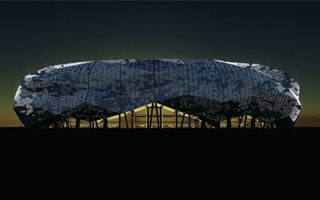 10.02.2017 Italy: Atalanta’s new stadium in 2020? 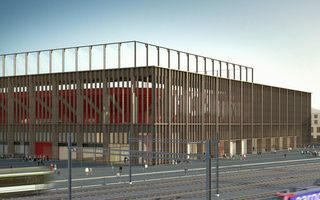 With capacity of 22,000-23,000 covered seats, new football-specific stadium in Bergamo is expected to come before the 2020/21 season. It’s price could reach €30 million. 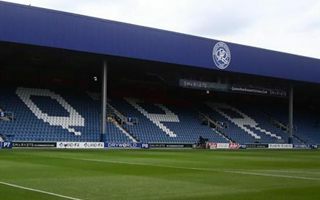 After exactly 100 years at Loftus Road QPR now indicate a new site they would like to move to. A 30,000-seater just 1 km north could be built within a few years. 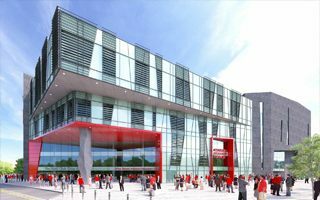 09.02.2017 London: Brentford to break ground next month? After three long years of deadlock it seems we’re finally just weeks away from seeing heavy equipment at Lionel Road. Brentford FC really need that to happen. Billionaire Dan Gilbert has submitted an offer to Wayne County to build a new criminal justice complex and jail at the Lincoln Hall of Justice east off I-75 just south of Warren Avenue. 08.02.2017 Euro 2020: Could Brussels lose hosting rights? This would be a huge embarrassment, but according to Alain Courtois it’s increasingly likely that Brussels could be stripped of Euro 2020. Meanwhile conflict between investor and local council is heating up. 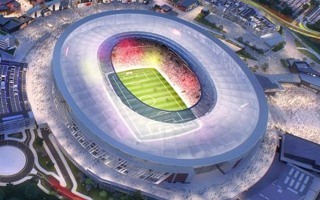 We did not see that coming: metal plates will cover the World Cup stadium in Kaliningrad, smallest of all Russian hosts. 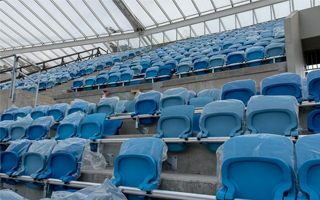 Also, seat colour was revealed during yesterday’s visitation. First of its kind, a new crowdfunding campaign will soon begin in Nuremberg. 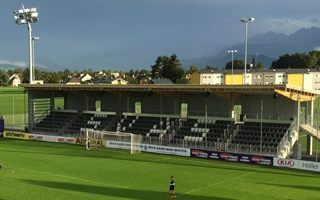 Supporters need to collect €800,000 in order to change their stadium’s name for one they’ve long dreamt of. With a busy and promising schedule on the field, SV Zulte-Waregem are also focusing on how to grow off the field. New pavilion is planned in one corner of Regenboogstadion in 2017. After over a decade under construction a symbolic moment comes this Saturday. 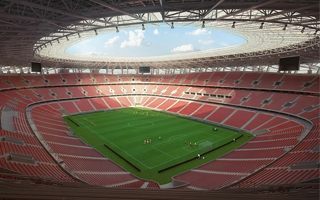 Russia’s most expensive stadium will allow spectators inside. It’s not finished yet, though. 06.02.2017 UEFA: Who gets the 2019 club finals? 15 national associations expressed interest in hosting of the 2019 finals. 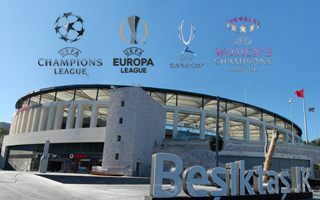 Champions League, Europa League, Women’s Champions League and Super Cup will be decided among 19 stadia! 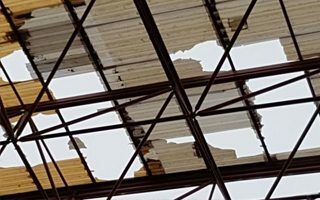 Deportivo La Coruna and Celta Vigo had their home games postponed after high winds damaged roofs of their stadiums. In A Coruna serious repairs are coming up. 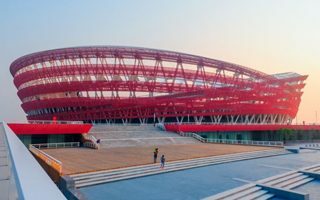 One of the world’s most unique sports complexes takes from a local natural treasure, the vast red beaches of China’s Panjin. 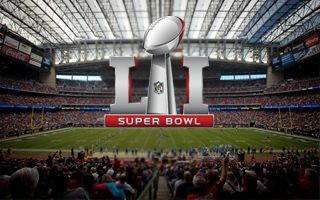 05.02.2017 Houston: What’s new for Super Bowl? 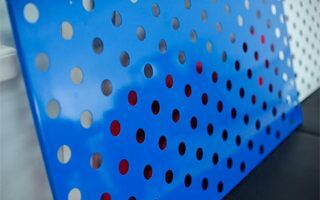 NRG Stadium’s second time as host of the world’s most viewed American football game will see some new features worth taking the look. 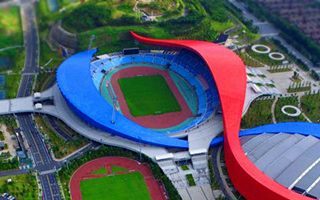 China is a real treasure chest of fascinating modern stadiums. Another one joins StadiumDB today and it’s an eye candy. It won’t be among the largest, but surely among the tallest stadiums thanks to the tower incorporated into it. There’s room for a hotel but not for running track. Starting capacity of 10,000 and ability to reach 20,000 when needed. 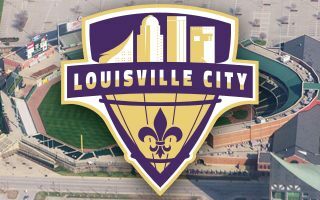 That’s what Louisville City need to grow and prosper in professional football. 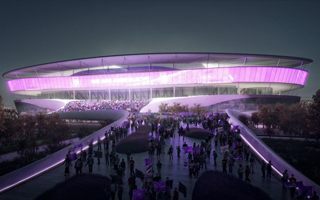 HOK will deliver their stadium plan. It was supposed to be ready for opening on Lev Yashin’s birthday. It won’t, due to launch proceedings taking longer than anticipated. 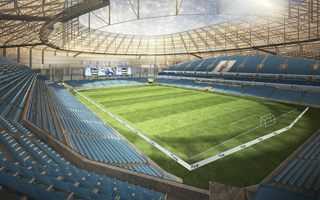 But inaugural game in 2018 could include Barcelona. 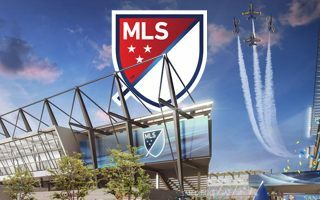 The American soccer league will grow by 4 teams by 2022. Despite entry fee set at record high $150 million a whopping 12 business groups decided to fight for a spot. 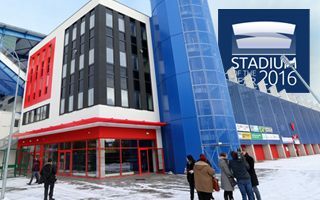 One of Russia’s richest clubs is now changing facilities and finally moving in to the brand new stadium. Just like the arena itself, club facilities are high-end. 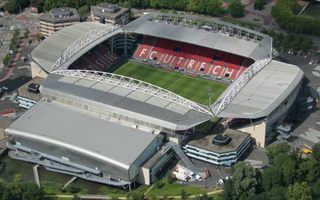 Stadion Galgenwaard will have the second biggest solar plant of all Dutch stadiums, able to supply clean power for 300 homes. It never rains but it pours, Austria Salzburg fans might say. Their club need to look for a new ground as the current one could be unusable from 2018 onwards. Will the city help? 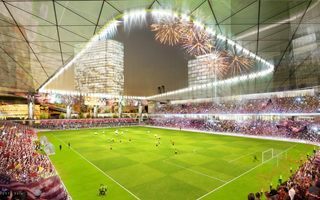 01.02.2017 Las Vegas: Superstadium plan collapses, can it be saved? Billionaire Sheldon Adelson pulled out of the proposed Raiders Stadium in Las Vegas. Without him the whole financial structure is in pieces and may prove beyond the chance of saving. 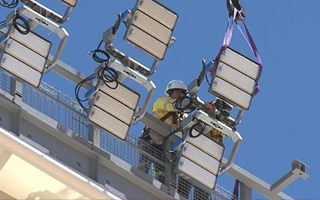 Over 15,000 LED lights will be installed across Perth Stadium and Sports Precinct, making it the biggest system of its kind globally. Sports teams do it, rock bands do it- and even many of the world’s top poker players do it too. 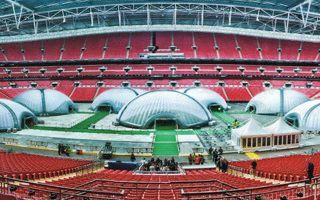 In recent years there has been a growing trend to hold big tournaments at some of the most iconic sports stadiums around the UK. 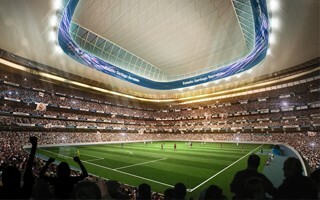 In four weeks we should finally know whether Italy’s next best stadium will get built. 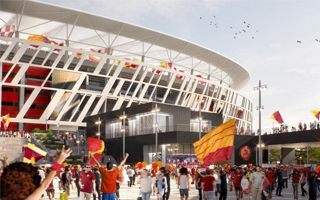 Decision has been delayed yet again, unofficially to give Roma a chance to downsize the project.